This special course will offer a practical and contemplative tour of the Wheel of Life and show how we can use this meaningful image to inspire our meditations and guide us along the spiritual path. The Wheel of Life is a picture originally created by Buddha and teaches the complete path to enlightenment. Included within it are Buddha’s teachings on The Four Noble Truths, telling us what we should know, what we should abandon, what we should practice and what we should attain. Additionally, through gaining insight into the meaning of this image we can gain a special wisdom that realizes the way things are and give us true mental freedom. Sessions will include guided meditations, talks and opportunity for questions. Join us on Friday evening for the talk The Power of Images: Symbolism and Buddhist Meditation and our Sunday morning class to make this an inspiring and fun weekend. Everyone is welcome! Gen Kelsang Demo is the Midwestern US National Spiritual Director and the Resident Teacher at Kadampa Meditation Center Washington DC. 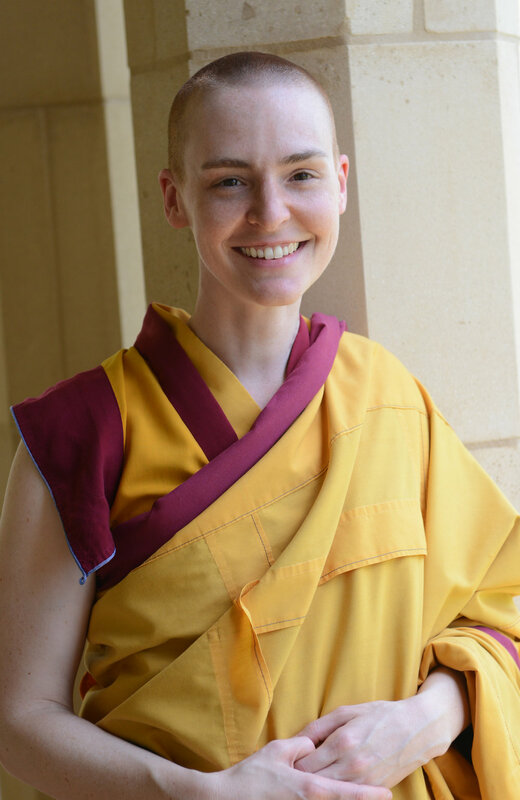 She has been a student and disciple of Venerable Geshe Kelsang Gyatso Rinpoche for over 20 years and has been teaching for 18 years.